We planted 1500 native fruiting trees along the towpath of the Trent & Mersey canal to create a lasting celebration of Queen Elizabeth’s Diamond Jubilee. Rowan, crab apple, wild cherry and guelder rose trees were planted in November 2012 by villagers, Findern Parish Council, 1st Findern Brownies, staff from the Canal & River Trust and members of the group. The trees have been donated by the Woodland Trust as part of their Jubilee Woods Project and Derbyshire Wildlife Trust as part of their Value In Trees project. We are one of 60 jubilee Woods that have been planted across the UK. This project will bring great benefits to the community, who will have a new woodland to enjoy as well as the promotion of a greater species of wildlife that this project will bring. 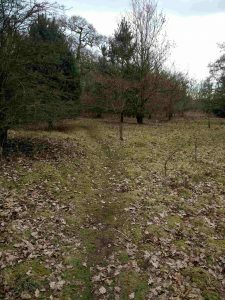 We are looking forward to developing this project in the future by under-planting the trees with wildflowers and by the installation of an information board.